2015 was a sad year for incandescent light lovers in Europe. The EU Commission, rather than celebrating its victories in having forced EU citizens to replace so many of their top quality incandescent lamps with poorer quality CFLs and LEDs (and generated millions of Euros in revenue for lamp manufacturers) is instead hellbent on removing all remaining tungsten lamps, leaving only the synthetic alternatives. This is the lighting equivalent of banning glass and permitting only plastic, or banning silk and permitting only polyester! It’s beyond absurd. 1. Special purpose lamps will be more strictly regulated from 25 February 2016 due to a regulation amendment aug 2015 in order to close the last “loopholes” for incandescent-lovers. Decorative & carbon filament lamps that have gotten popular in restaurants etc. can not be called “special purpose” anymore and are thereby no longer included in the exceptions to the regulation. Rough Service lamps appears to be available but restricted (the wording is unclear). Remaining stocks can still be sold but no new lamps can be imported into EU or “placed on the market”. So it’s a good idea to stock up now if you can still find them. 2. Incandescent and halogen reflector lamps will be banned from Sep 2016. So, start stockpiling if you appreciate their beauty, dimmability and broad usefulness at home. 3. The halogen energy savers phaseout, scheduled for 2016, was postponed until Sep 2018 – rather than to 2020 as the lighting industry requested, or scrapped altogether as some of us have suggested as the promised Energy Class B halogen to replace the Class C halogen no longer exists on the market. 1. Halogen G9 mini-lamps for mains voltage will still be available. They last longer than standard incandescent lamps and can be used in a conversion kit as incandescent replacement, which has the added bonus that the base and bulb E re-usable, and are available in a wide range of models: A-bulb (GLS), pear, candle, flame, golfball, PAR, globe, diamod etc; clear, frosted, tinted, dicroic, decorated etc. The base and bulb of course costs more than the old lightbulbs used to, but once invested in, only the inner bulb needs to be changed so it’s really eco-friendly. It’s also perfectly legal (for now, anyway, but there is the threat of another amendment yet to be voted on, so best stockpile G9 bulbs too). 2. Just a few weeks ago it was announced that, by using nanotechnology, scientists at MIT have found a way of recycling the “wasted heat” [which of course is not always wasted…] of an incandescent lightbulb and focusing it back on the filament where it is re-emitted as visible light, making it 3 times more effective now, and in the future potentially even substantially more effective than LEDs. This possibility can mean a comeback for the incandescent bulb, if any manufacturer wants to invest in developing the technology. It certainly has huge market potentials as many of us still prefer those old “golden standard” lightbulbs to the new synthetic copies. This would also satisfy the EU Commission’s ever more stringent energy standards, as well as those of the U.S. and other countries. Hope your holidays have been good, with lots of love and beautiful lighting. This post I’d like to dedicate to another, often forgotten, quality when discussing light: darkness. It seems fitting now during the darkest time of the year in my part of the world. Don’t get me wrong, I love the summertime and have no wish to go back to living in a medieval darkness with only candles and fire light to read, socialise, travel and work by during the dark part of the day and year. But our modern world has become almost insanely bright, at all hours of the day. Every last corner must be harshly and evenly illuminated with often cool bright light. We’re living in an era of literal enlightenment, and not all for the better. No room anymore for feeling, romance, mystery, subtlety or imagination. And is it not possible that some of us could work or learn just as well, or even better, in less over-illuminated classrooms, offices etc? Especially when sitting down, there is in my opinion no need for the whole room to be so extremely bright, as long as one’s desk or workspace has enough light. With computers, a bright ambience is even counter-productive. This is how offices could look, not just home offices like this one – and it wouldn’t cost more either! And why does public transportation need to be as harshly lit when one is just sitting there trying to relax to and from work, shopping or some social event, and not needing overly bright light to see every dandruff one’s your fellow passenger? A real mood-killer, isn’t it? 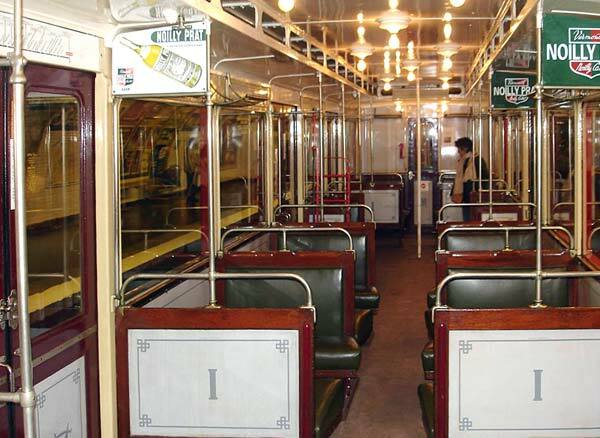 Wouldn’t it be nice if your local public transportation was lit more like this old gem? 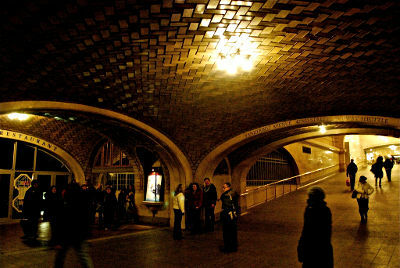 And if the stations were more like the magical Grand Central Station in New York? Unfortunately, the abundance of mediocre quality lighting follows a historical pattern. In earlier centuries, light was the luxury. A quality commodity like silk or gold. But with the arrival of cheaper, poorer quality gas discharge lamps and fluorescent tubes, suddenly it was possible to flood the general public in bright light at all hours of the day, just like we have been flooded with high quantity but low quality of many other things, from junk food and polyester to cheap reality shows. As I may have mentioned earlier, there are very clear rules and recommendations for lighting designers to use more quantity than quality for workers and cheap stores, and more quality than quantity for executives, high end boutiques, exclusive hotels, museums, spas, first class train cars, tourist buses, air planes etc, with more harsh, bright, flat and glaring fluorescent light for the former group and more dim, varied, warm, directional, and incandescent lighting for the latter. So, darkness, shadow and dimmer or more varied lighting has now become a scarcity, a rare luxury good like silence. Something the affluent few are made to pay premium prices for. But don’t we all actually need darkness just as much as we need light? Can we truly enjoy one without the contrast of the other? After getting seriously fed up with blogger’s non-user-friendly software I’ve moved my Greener Lights? blog and will continue updating it here. Just adding links and updating things now. Hope to start blogging again as soon as I’m done, so stay tuned. This week I was invited to a Christmas dinner at fine country restaurant. Lovely old building, great company, delicious food, but the lighting put a bit of a damper on the otherwise enjoyable event. 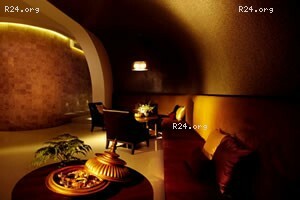 It consisted of CFL downlights only, exept for a few halogen wallwashers to illuminate the beautiful brick walls. The effect was dim and gloomy as the dimmed CFL light was too weak to reach the tables and floors – unlike halogen light which does this very effectively – and made the room look dull and grey instead of sparkling and lively. If it hadn’t been for the halogen wall-washers, it would have been even more gloomy. Dimming the CFLs also changed their colour to dim blue and dim rose, and made some of them flicker perceptibly! Just as some of us have been warning about. How hard can it be to just use the right lamp in the right place? Incandescent (halogen) lamps for regions with cold and snowy winters, LEDs for warmer regions. Utilities billing their customers for ‘free’ CFLs, and with a profit margin on top of it, much to the surprise and dismay of their customers when they found out. LOL! Do people think their utilities are Santa Claus or Mother Teresa? As I pointed out in an earlier post, if you get something for free, you usually end up paying for it one way or another. CFL light exchange programs may also attract thieves and scammers seeing an opportunity to get into your home, as well as companies handing out free low-quality CFLs in order to lure you into buying something else. Beware! Obviously, World Watch Institute haven’t done their math right. As I clarified in the latter half of my Global Ban Craze post, incandescent lamps are used mainly in the Residential sector, which in turn uses only 15% of world energy (whereas the Industrial and Commercial sectors use 62.5%, the majority of which is already FL or HID). Of those 15% only a small part is used for lighting, and only some of the lamps in the Residential sector are still incandescent. For those EU residents who miss the now banned frosted incandescent bulb and forgot to stock up. There is this joker named Scott Rodgers flooding the net with the most ignorant anti-lightbulb articles I’ve ever seen. Don’t know how many times I’ve missed checking the author and wasted time posting some correcting facts, without any comments ever showing up at all, despite all the various fake blogs always appearing to be open to comment. 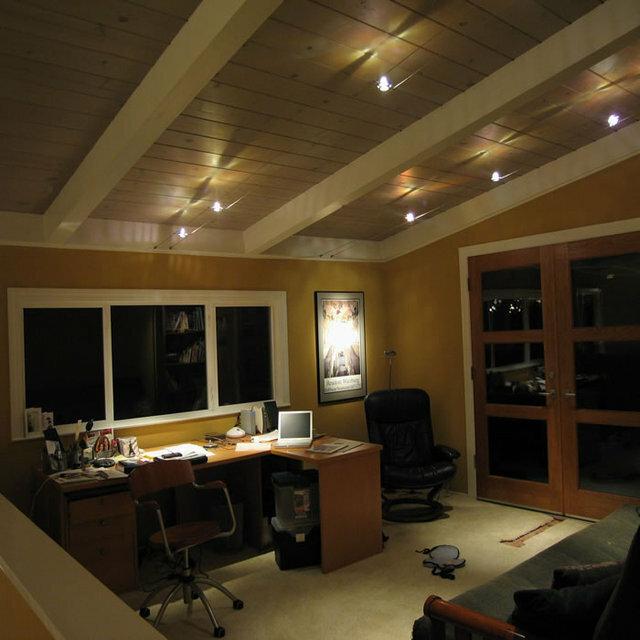 Is Florescent Light A Better Alternative To Incandescent Lights ? Why The Incandescent Light Bulb Were Replaced With Other Bulbs? This is truly a stunning reversal of facts! There is nothing unsafe about incandescent lamps, it is CFLs that contain mercury and may be harmful to both health and environment! Incandescent light is not too dim, it is CFL and LED light that is usually too dim. Especially if you use the recommended 11-14W CFL to replace a 60W incandescent, or a 6W LED to replace a 25W incandescent, you will not get nearly as much light as you had, and it will keep getting even dimmer with age. This is correct, but the heat is wasted only outdoors and in warm climate zones and seasons. In cooler countries the heat adds to indoor heating in a pleasant way and keeps heating bills down. The EU Commission recently confirmed that this statement is an exaggeration (something anyone can check for themselves by comparing lumen values in manufacturer catalogues.) Nominal values (tested in optimal lab conditions) show 75% at best, less for covered models and poor quality lamps, and in reality often around 50% if you count poor power factor and the gradual light loss. That depends on model, brand and individual bulb. Some models are designed to last 4 500 hours, some up to 15 000, though at a larger reduction in output. Consumer tests have found many to not last as long as claimed. Also, using them in closed or recessed luminaires can make them overheat and go out prematurely, and switching them on and off often may reduce life with up to 85%! Again, the truth is the exact opposite (except that about the whiter light – some CFLs have a higher correlated colour temperature = colder light colour). Mr Rodgers has obviously never read a manufacturer catalogue where it is clearly stated that colour rendering index is only 82-85, vs 99-100 for incandescent (incl halogen) light. And Mr Rodgers must not have tried his advice out for himself or he would have noticed how everything looks dead, dull and gloomy in fluorescent and LED light, and how colours come alive and sparkle only in the golden-white, brilliant light from incandescent and halogen lamps. As Mr Rodgers is not above slagging CFLs in PR articles about LEDs, it seems obvious that this is just an opportunist looking for business by way of article-spamming en masse.